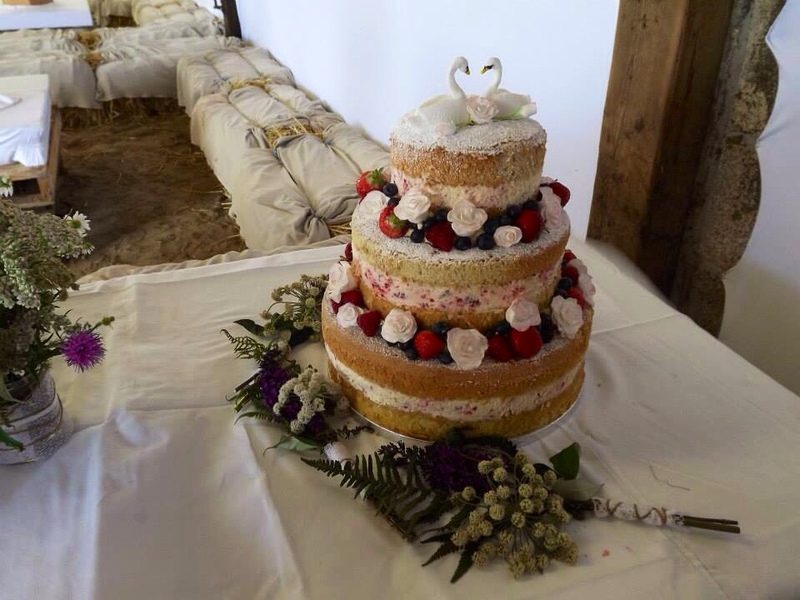 Last summer my friend got married and I made her wedding cake. 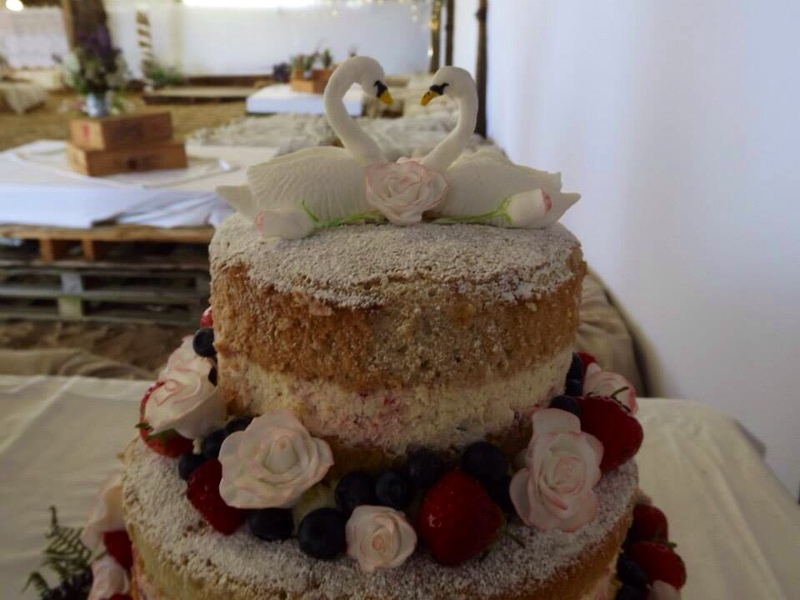 It was the first time I ever made a tiered cake let alone one for a wedding!! I spent hours reading about how to assemble them and when it came to it, it’s pretty easy actually. 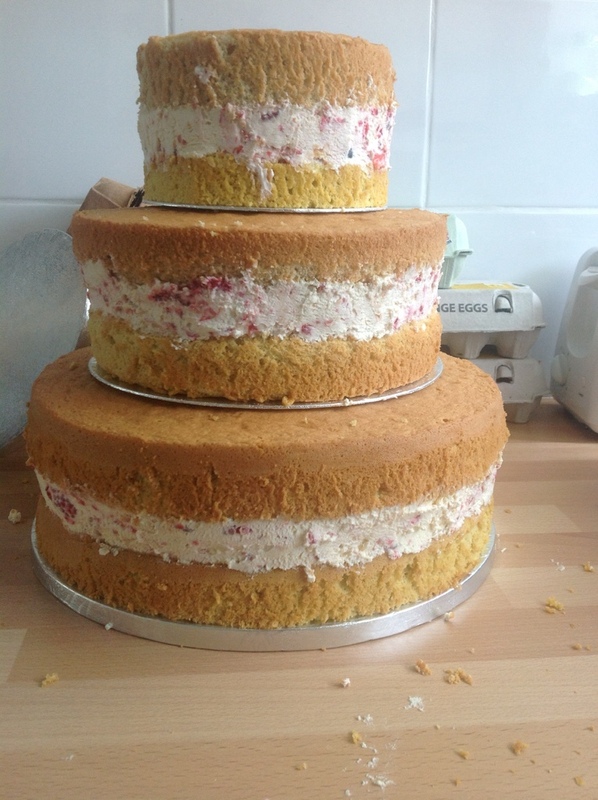 My friend wanted a naked cake, that is without any icing. 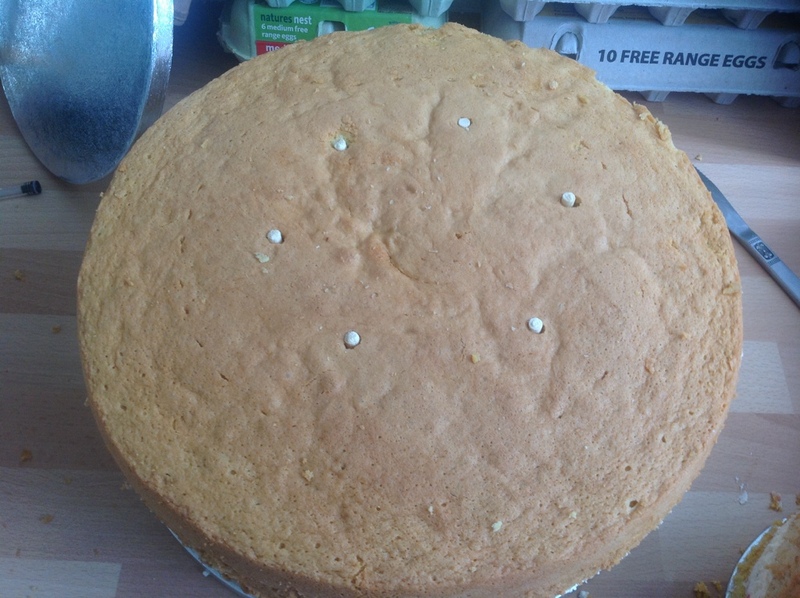 I was at loss as to how to make a cake look smart without covering it in something! Even the professional ones I looked at had cream bulging out the sides, which is all very well. Who doesn’t like tons of cream. But I didn’t want it too look so… Rustic? Anyway, we decided on a light sponge filled with cream and berries. The genoise sponge I had just discovered was perfect. I wont lie, I spent weeks making sugar roses, turned out I made too many! I used this tutorial and they really are pretty simple and fun to make. That said, I’m ‘arty’. Tip: Use rose water to past the petals together and they will taste of rose. I made 2×12″, 2×9″ and 2×6″. Unfortunately I didn’t keep the envelope I scribbled the modified recipes one. Idiot. But to get them I used a great cake recipe converter by CakeBaker that isn’t on there website anymore 😦 I think you can buy their app though. Essentially it did this automatically. For the filling I cut strawberries and blueberries with about 1l double cream, I just added fruit until it felt like a stable mixture. 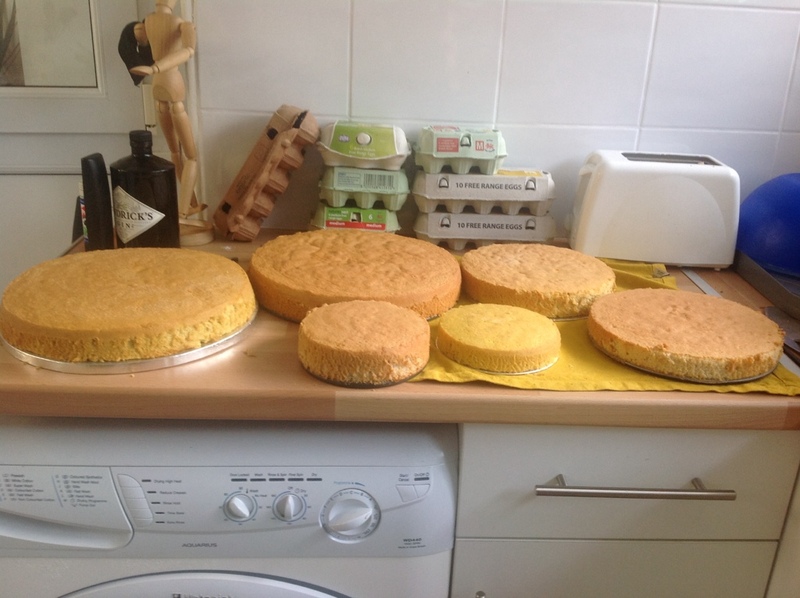 Then piled it on top of one cake of each size. I then popped the next layer ontop, skewered it with a load of wooden dowel rods. Then I added the card/ foil layer that is the same size as the next cake to come to check that they were all hidden. I didn’t use this card thingy because its so thick. 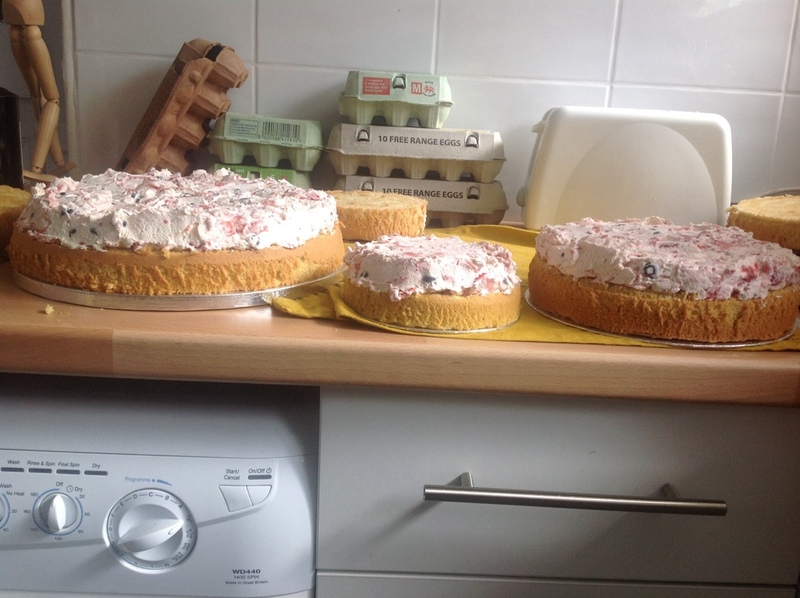 And tadaaaa… When I traveled to the site I took the cake like this, well, without the top layer, all the roses in egg cartons, the fruit in their little crates and a piping bag of plain whipped double cream. I smoothed the cream around the sides with a warm butter knife to get a smoother finish for a less ‘rustic’ finish. I don’t have photos of assembling the cake but essentially I piped cream all around the edge and then piled the fruit and stuck the roses on their wires all the way around, adding more cream when necessary – like when strawberries roll off. We transported the cake in separate layers with the roses safely packed in egg cartons and put the whole thing together at the venue, after the ceromony, just before everyone piled in! 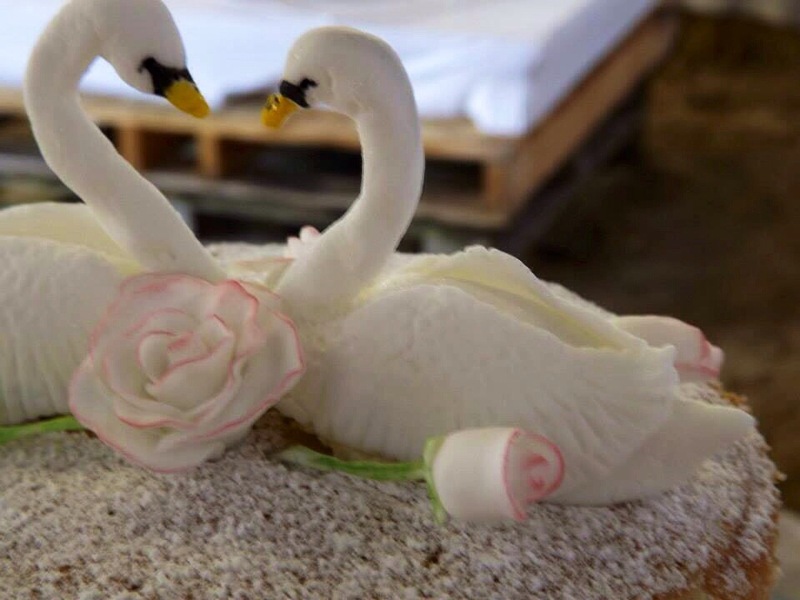 I also made the swans. I don’t have any photos as they were pretty spontaneous. 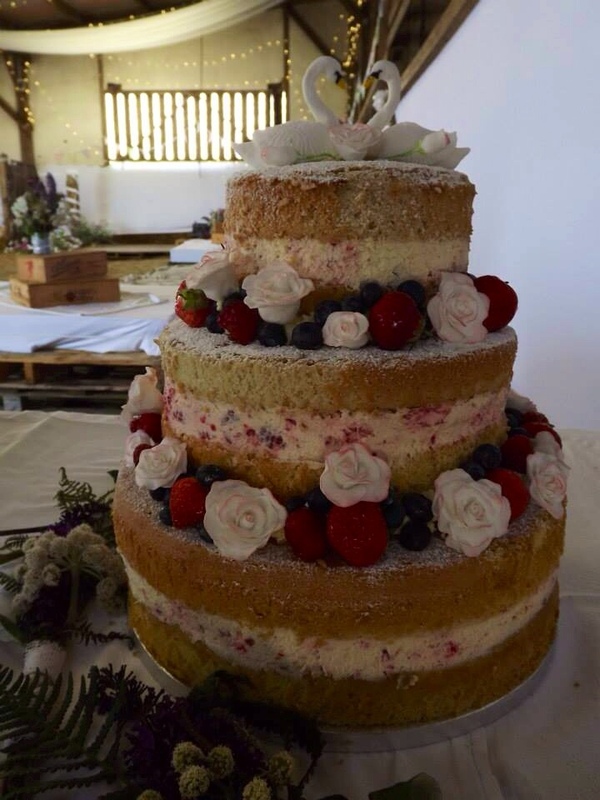 The wedding was just lovely and so many people complimented the cake which had me set in a continuos mixture of pride and embarrassment haha. Hi, I’ve just discovered your blog and think it’s great! 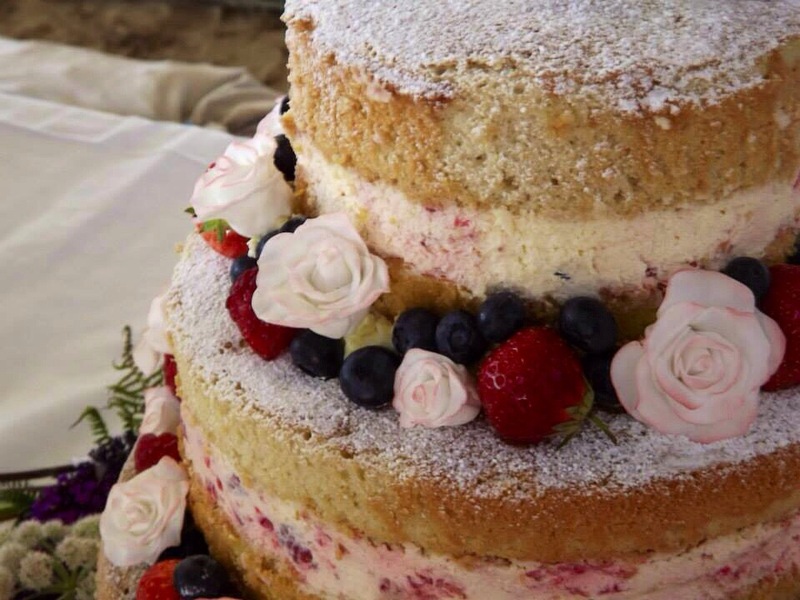 I’m going to be making a 4 tier naked cake soon and am excited to try out your genoise recipe as I think most sponges are too sweet and dense! I wanted to ask though, you use fresh cream as your filling – does this remain good to eat after leaving out of the fridge for so many hours? Also do you know how high each of your sponges are? Hello Rubina! I’m so sorry I’ve only just seen this! I’m actually about to make a Genoise sponge for my brothers birthday cake! I’ll measure the height but I think they are about 3-4 inches tall, I used two per tier. 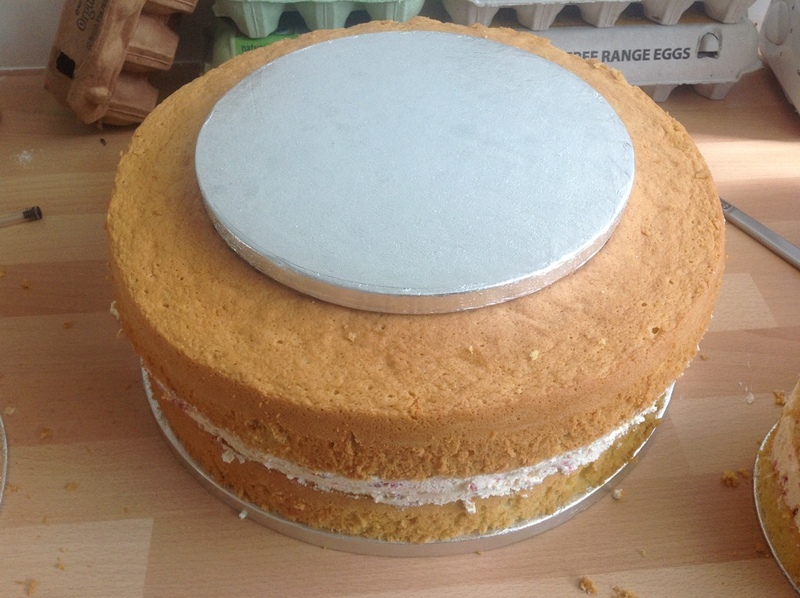 The slice in half so easily you could do that too and have a super high layered cake! As for the cam, I worried too but it was fine for a good 4 hours on a sunny day, although it wasn’t in direct sunlight. Hey! Ea ha Cake is moré like 5cm 😉 woops!